The delightful Rjurik Davidson reviews Vigil in The Melbourne Age (and the Sydney Morning Herald and The Canberra Times). Angela Slatter won the World Fantasy Award for The Bitterwood Bible and other Recountings, a collection of rich and dark fairytales. Since then readers have eagerly anticipated a novel. 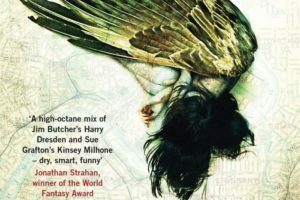 Slatter’s debut, Vigil, is a sidestep from fairytales into “urban fantasy”, a sub-genre often featuring sharp-tongued detectives operating in a paranormal world hidden in the interstices of the real one. Descended from Victorian detective stories, this modern sub-genre usually involves some kind of magical murder that leads the detective into the shadowy fantasy world hidden beneath ours. Vigil reworks these urban fantasy tropes into an Australian setting. This entry was posted in News and tagged angela slatter, detective fiction, rjurik davidson, Te Sydney Morning Herald, The Canberra Times, The Melbourne Age, urban fantasy. Bookmark the permalink.